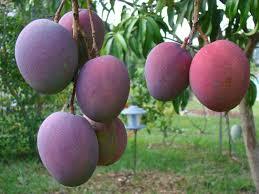 Lower Eastern Kenya region commonly Known as Ukambani have adopted farming of different fruits. Frruit farming has revived the region and has given hopes to many farmers who for years have experienced poor harvesting of other crops. Most parts of the country especially eastern region for instance experienced below-normal rainfall that was mainly recorded in April and May 2017 according to the Ministry of Environment and Natural Resources State Department of Environment Kenya, Meteorological Department. This ever-hotter weather and more erratic rainfall has made growing many crops more difficult in Kenya’s Ukambani region, but fruits harvest is prospering. As per the Best Tropical Fruits Company, a Kenyan fruit growing and processing firm, between 2012 and 2016, mango production in Kenya rose by 47 percent, to more than 80,000 tonnes. This according to the firm has also increased selling price for processed mango by two thirds since 2013, with overall revenue from mango sales hitting 400 million Kenyan shillings ($3.9 million) by the end of 2016. Ukambani is now producing some of the sweetest mangoes in the world according to one farmer who represents a group of mango growers and also has carried out research on mango farming in Kenya as part of a master’s degree programme. Growing cereals especially maize and beans which the farmers would plant in April for October harvest, but the crops would not perform well due to inadequate rainfall. The end result has been, very little is produced that could hardly take care of the farmers’ families not to talk of selling. Eastern people end up miserable on harvest time because they do not have enough produce to take care of their families and to sell. Munuvi one of the farmers, who grows yellow passion today says the passion is speedily raising as the fruit of choice for most farmers in Machakos county. For more information about Fruit farming, visit our offices. Book for your seedlings today! !